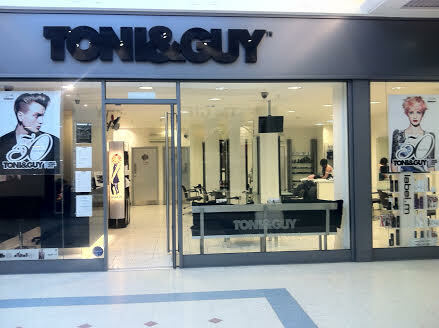 TONI&GUY Telford opened in the town in 2004. At TONI&GUY Telford we provide clients with the ultimate ‘salon experience’ in a warm, friendly and stylish environment. Our wide range of haircare products include label.m, GHD and Tangle Teezer to keep your hair salon perfect until your next visit. We also offer the semi-permanent blow dry designed to de-frizz hair whilst dramatically improving its health, condition and shine. Hair will be sleek, smooth and straighter. We offer many additional services including wedding packages and hair up for that special occasion or big night out. For further information about our extensive service menu or for a free style consultation please speak to our reception team. Excellent service. Extremely friendly and professional. Brilliant stylist. Best haircut I’ve ever had. Felt completely at ease, professional throughout, and was exactly what I wanted and more. First time I’ve ever come across someone who appreciates that I like having long hair. Serena did an amazing job as usual, stripping the red out of my hair. All the staff are so friendly & welcoming. So heart broken that the salon is closing, but I will travel to Birmingham. Its so hard to find a stylist who you trust. Really disappointed that this salon is closing Toni & Guy you must be mad! The staff are nice and very skilled. I found a salon that does what I ask for and now you close it. Shame on you! Excellent set as per usual. Thank you. Amazing girl such a burst of energy and creativity love what you have done to my hair defo best place to go is Toni & Guy as Iv now had 3 appointments with 3 different stylists and received nothing but 100% quality! The place itself is immaculate. The products also are amazing! thank you so much for my review and really glad you like you new do it really suited you! it was a pleasure doing your hair! Serena was lovely and worked so hard to give me the haircut I wanted as I was a new customer. Highly recommend ???? Just love the energy the girls create in this salon!! Hello Bridgit! thanks for taking the time for our review! we always love having you in the salon see you soon!! Hey there Tracey! thank you so much for the review. we had a fab time transforming you in the salon see you very soon! Had a lovely experience at the salon, Serena was very professional and cut my hair really well, really pleased! Hello Gayle thank you so much for this lovely review see you soon happy new year!